I was supposed to have my review a week ago. That did not happen, nothing I did. Try 2 is today. We have been stuck in a foggy morning and sunny afternoons with temperatures hovering around freezing in the morning. Good weather for walking if you wait for the frost to leave the sidewalk. Carl has been logging lots of miles. 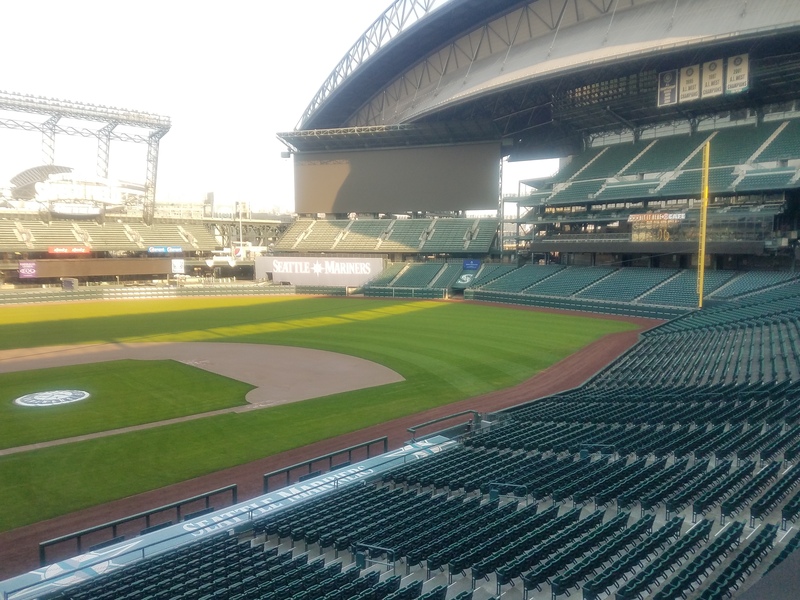 We walked to Safeco Field on Saturday. Lucky for us, the memorial service we attended kept us from suffering through the Sounders loss to Toronto in the MLS finals. It also afforded us the opportunity to see the new grass at the ballpark. 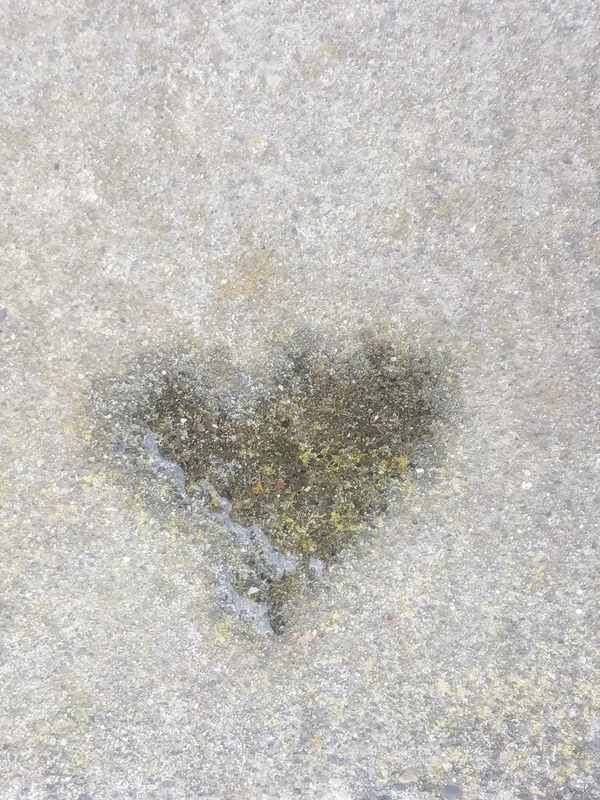 This randomly appeared on our front porch. We also finally got our tree up! Sunrise on the way to work. 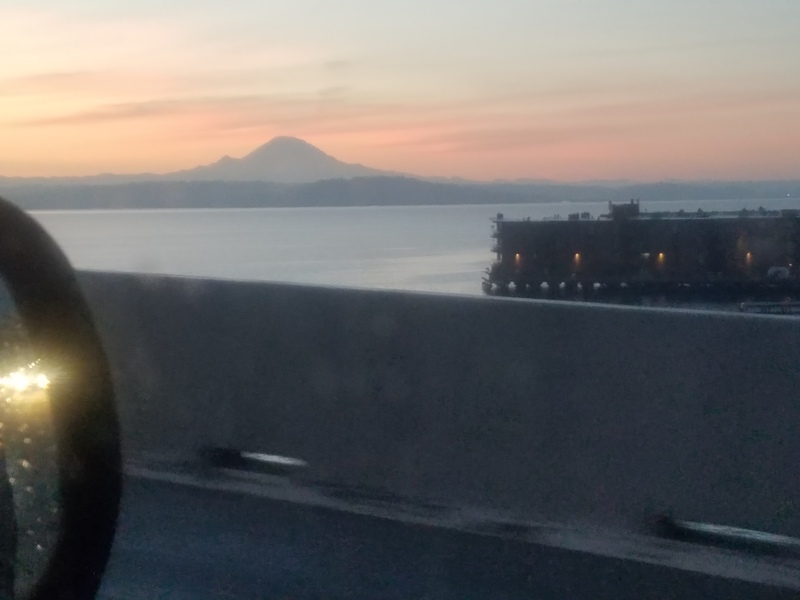 The Mountain is out. This entry was posted on December 13, 2017 at 8:39 am and is filed under Uncategorized. You can follow any responses to this entry through the RSS 2.0 feed. You can skip to the end and leave a response. Pinging is currently not allowed. 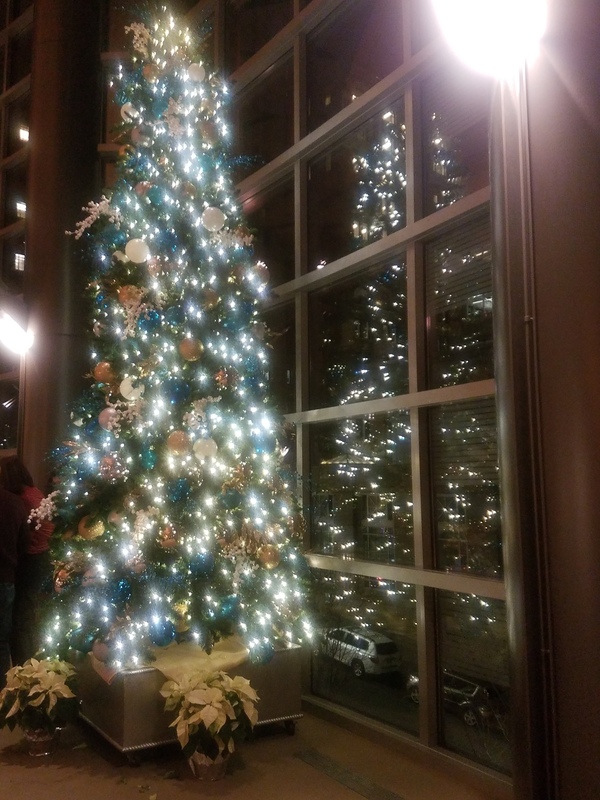 That tree would poke through to the second floor, but is nicely decorated and in the preeminent Seattle concert venue, Benaroya Hall.